Libbus M.K. (2006).Trimethoprim reduced dysuria in women with symptoms of urinary tract infection but negative urine dipstick test results [commentary]. Evidence-Based Nursing 9(1): 17. Libbus, M.K., Robrecht, L., Bullock, L.F.C., Curry, M.A. and Nelson, T. (2006). Abuse during pregnancy: Current theory and new contextual understandings. Issues in Mental Health Nursing, 27(9), 927-938. Libbus, M.K., Bullock, L.F.C. and Brooks, C ., Igoe, J., Beetem, N. and Cole, M. (2003). The role of the school nurse: Voices from the health room. Journal of School Health, 73, 8, 322-324. Russell, C. L ., Kilburn, E., Conn , V. S., Libbus, M. K. and Ashbaugh, C. (2003). Medication taking beliefs of adult renal transplant recipients. Clinical Nurse Specialist, 17 (4), 200-208. Libbus, M.K. (2002). Invited Commentary. Evidence Based Nursing, 5, 119. Libbus, M.K. (2002). Medication Taking Beliefs of Adult Renal Transplant Recipients. Clinical Nurse Specialist. Bullock, L.F.C., Libbus, M.K., Lewis, S. and Gayer, D. (2002). Continuing Education: Improving perceived competence in school nurses. Journal of School Nursing, (1)8, 360-363. Libbus, M.K. and Bullock, L.F.C. (2002). Breastfeeding and Employment: An assessment of employer attitudes.Journal of Human Lactation, 18(3), 247-251. Brooks, C., Miller, L., Dane, D., Perkins, D., Bullock, L., Libbus, M.K., Johnson, P. and Van Stone, J. (2002). Program evaluation of mobile dental services for children with special health care needs. Special Care in Dentistry, 22, 156-160. Kridli, S. and Libbus, M.K. (2002). Establishing Reliability and Validity of an instrument measuring Jordian Muslim women’s contraceptive beliefs. Health Care for Women International, 23, 870-881. M. Kay Libbus, DrPH, RN, is a professor emerita of nursing and women’s studies at the University of Missouri. 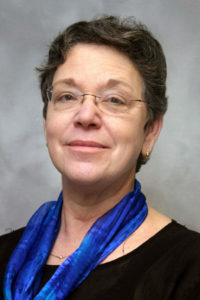 Prior to her retirement in Aug. 2011, she taught courses in women’s health and public health to undergraduate and graduate students and also participated in special courses for continuing professional education. Libbus wanted her classes to be user-friendly yet challenging and was devoted to teaching improving her teaching and her class outcomes. She received two Federal Advanced Nursing Education grants to develop and implement a totally web-based masters program in Public Health Nursing with or without a Specialty in School Health Nursing. She has also been intimately involved in facilitating classroom education for the University of Missouri through her work with the Wakonse Foundation. Dr. Libbus has won numerous teaching awards including a Kemper fellowship and a faculty award for Excellence in Teaching at the School of Nursing. She has also been recognized for her work with students and has received citations from UMC including the Alumnae Anniversary Award and the Division of Student Affairs award fro Excellence in Education. As a researcher, she has been involved in numerous projects and has authored or co-authored more than 30 data-based articles that have been published in peer reviewed journals. She often speaks at professional meetings and has been a popular speaker to lay organizations in matters related to Women’s Health.